Scott Clements won his second WSOP bracelet and collected $194,206 for his first place finish in Event #23, $1,500 Pot-Limit Omaha. He outlasted a field of 576 players en route to his latest victory. In the first hand of heads-up play, Clements raised the pot, Eroc "Rizen" Lynch moved all in, and Clements called. The flop was and Lynch took the lead. The turn was the . The river was the and Clements rivered a set. 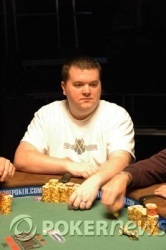 Eric "Rizen" Lynch headed to the rail in second place. He won $119,508. Tommy Ly raised the pot. Scott Clements reraised the pot. Ly moved all in and Clements called. The flop was . The turn was the and Clements took the lead with a Broadway straight. The river was the . Ly busted out in 3rd place. He won $78,624. 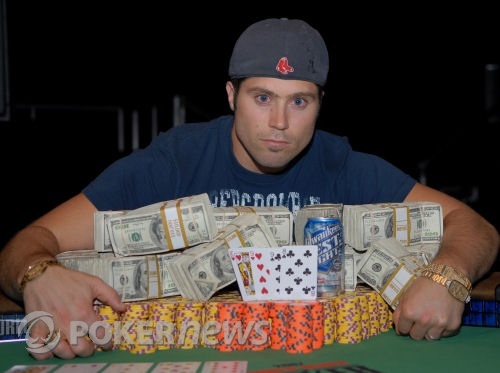 Eric "Rizen" Lynch raised 56K and everyone folded. Clements raised the pot and everyone folded. 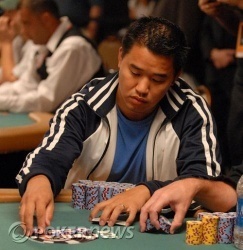 Heads up pot between Tommy Ly and Scott Clements. The flop was . Clements bet the pot and Ly mucked. Scott Clements raised 56K. 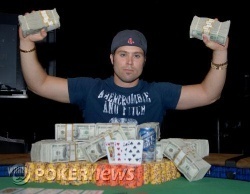 Will Durkee raised the pot. Clements raised him all in. Durkee called. The flop was .The turn was the . Clements picked up a straight. The river was the . Will Durkee busted out in 4th place. He won $52,285.